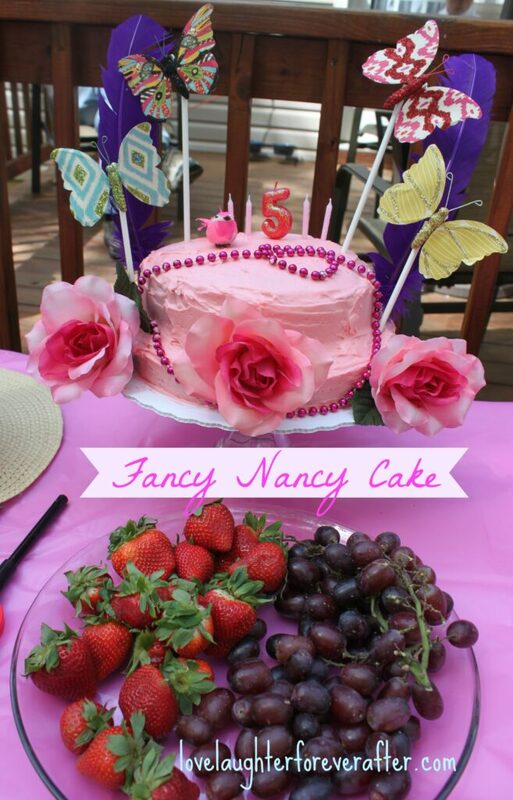 We recently celebrated my daughter’s 5th birthday with a Fancy Nancy Party. 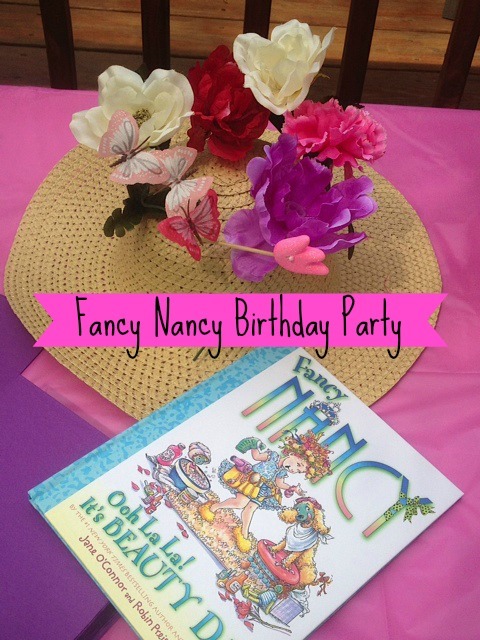 If you are not familiar with the Fancy Nancy series by Jane O’Connor, the books introduce young readers to an advanced level vocabulary and life lessons for children by using the main character, Nancy, who loves all things fancy. 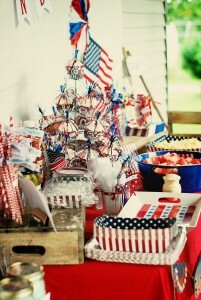 In Nancy’s world, parties are called soirées and you always end a day with a parfait. We pulled our ideas from the book Oh La La! It’s Beauty Day to theme the party and did so within our budget. 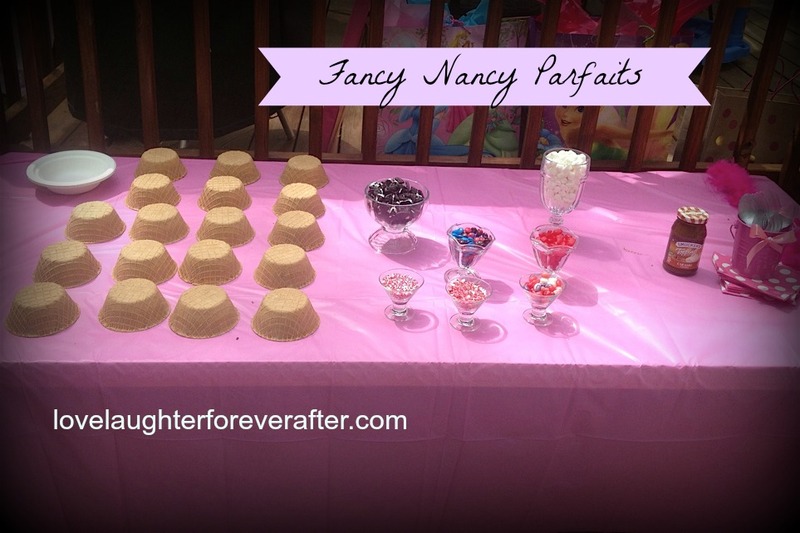 I set up a table for the guests to decorate their own fancy bonnet. Using ribbon, floral bouquets, feather boas, and butterfly picks that I found at the dollar store, the girls had everything they needed to complete their fancy ensemble. After the hats were made, we headed over to be pampered. All of the guests received manicures or pedicures, with the color of their choice. While they waited for their nails to dry, there was a sweet appetizer made to look like nail polish bottles! Unwrap tootsie rolls and stick one end of a toothpick in the center of one side. Then insert the toothpick in the middle of a marshmallow. 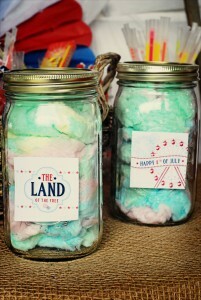 Dip the marshmallow into a bowl of melted candy melts or chocolate and place on wax paper until hardened. 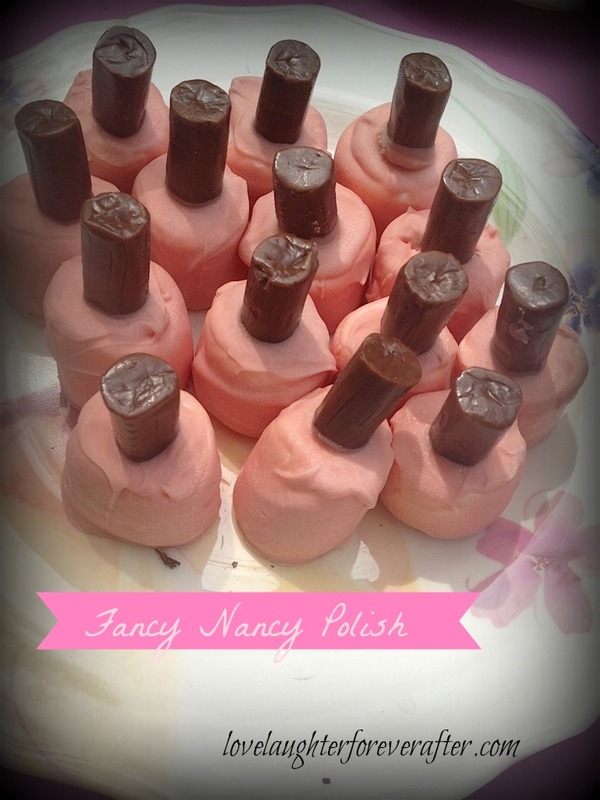 I used pink candy melts for our party, which can be found in the baking aisle at any craft store. 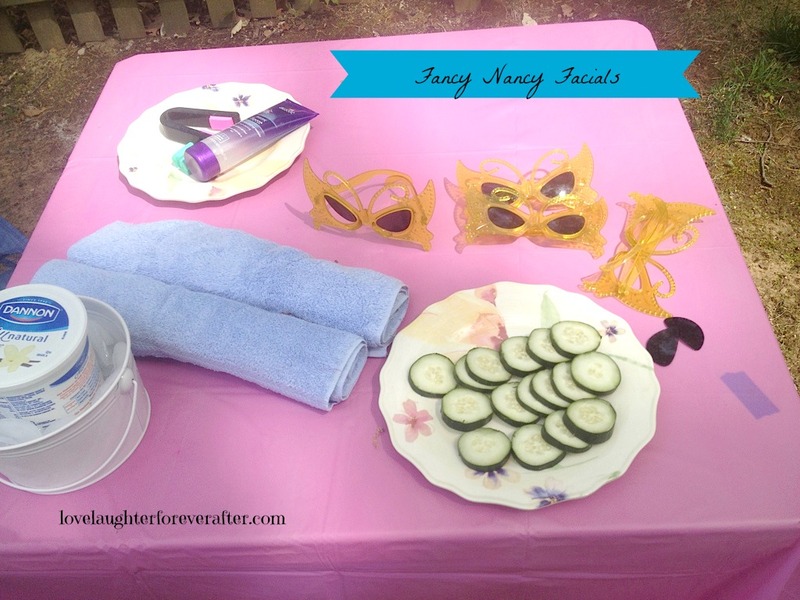 We also had a beauty stop for facials and fancy hair. Beach chairs were set up in the yard for relaxing during this spa treatment! We used plain yogurt for masks and sliced cucumbers for the eyes. We also had gel and hair chalk for anyone interested in colored or spiky hair. All of the guests loved the pampering! For my daughters cake, I made a two layer cake and added red food color to homemade cream cheese icing. I pulled a bunch of random items out of my craft collection to make the cake fancy! I used three roses at the base of the cake, and draped a necklace across the top. I clipped cardstock butterflies to cake pop dowels ( that are found in the baking section ) to finish off the cake! After the cake, we had to have parfaits! 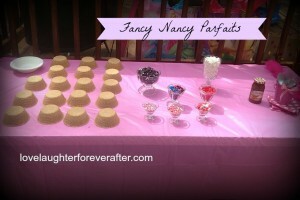 Fancy Nancy loves parfaits, as do I! 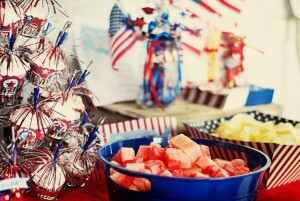 Here is a photo of the table without the ice cream and chocolate toppings! I used the waffle cone bowls to make our parfaits, and had an array of toppings. The kids loved making their own parfaits with sprinkles and marshmallows and cookies! 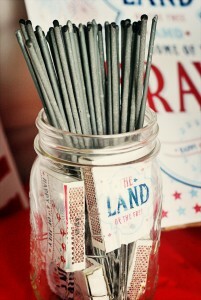 I definitely want to include this whenever I can for future parties! To finish off the party, we celebrated with a fancy piñata. My daughter insisted that we have a piñata and I was on a mission to find inspiration for one. 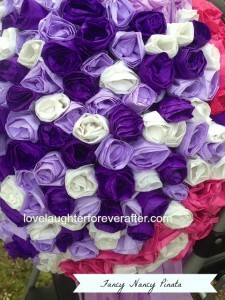 This is a handmade piñata that I did myself after falling in love with a photo from another blog. I knew that this piñata would fit our Fancy Nancy theme perfectly. Using tissue paper and staples, I made individual flowers by rolling strips of tissue around my fingers. 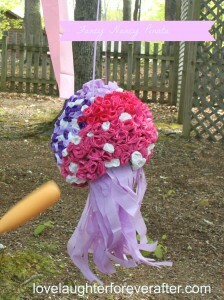 The flowers were then glued to my homemade piñata form. To “hide” the hole, I added tissue paper strips to hang from the bottom. I ended up having the piñata half pink and half purple because I underestimated how many purple flowers were needed to cover the surface of the balloon. 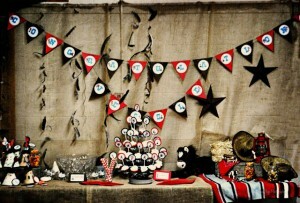 We stuffed the piñata with individual goodie bags to illuminate the mad dash to get candy and leaving some kids out. 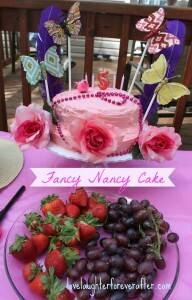 My daughter definitely loved the Fancy Nancy Party! 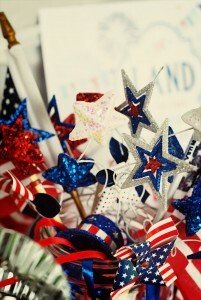 And I had an amazing time planning for it! 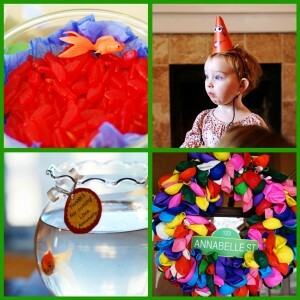 We’ve all seen the beautiful images in magazines as well as on party planning blogs and thought, “How do they do that?” While I know it sounds insane, the truth is, you can do it too-and I’m here to show you how. 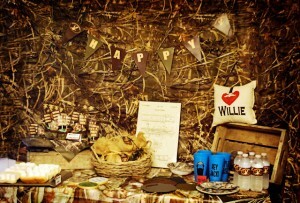 My name is Megan Wilson, and I’m the blogger behind Cattle and Cupcakes. 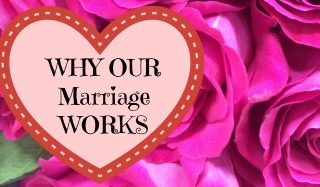 I’ve learned the hard way how to throw a good party, and my events are now regularly featured on websites like Whimsically Detailed, Spaceships and Laser Beams, Hostess With the Mostess, and many more. Take a look below at the events that I’ve pulled off by myself. 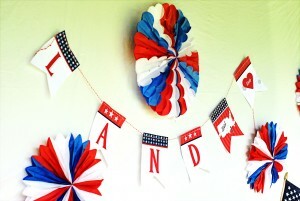 It takes some forethought, a good pair of scissors, and some creative brainpower, but really, anyone can do this. 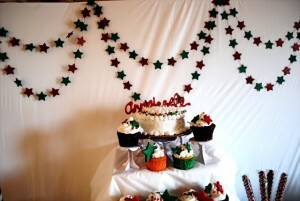 Now, mind you, I started at the very beginning with that red and green 1st birthday party. 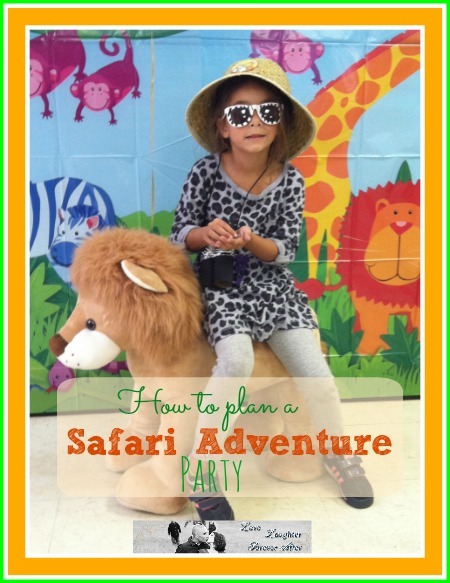 I had no idea how to pull off a party that would grace the pages of some of the most popular party sites on the internet. 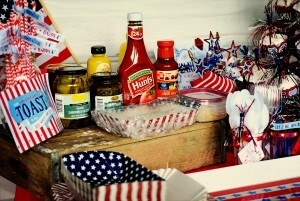 I fumbled, I struggled, and I toiled searching site after site for ways to make my parties better. 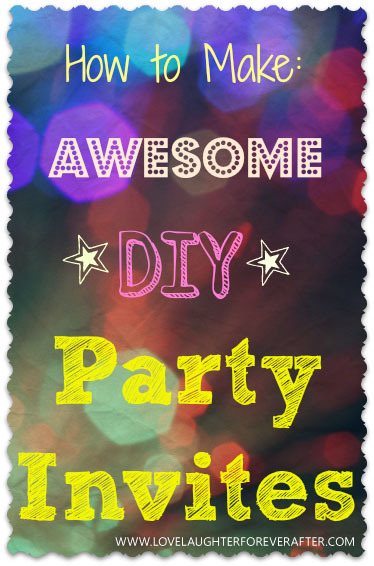 I’ve finally gotten a few parties-and tricks-under my sleeve, and I’ve seen no real “How to” site out there giving regular people the tips and tricks that it takes to complete one of these soirees; and believe me, they’re worth it. 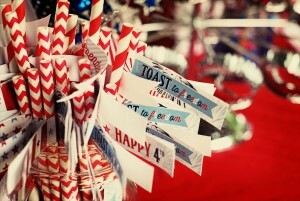 Each one is unforgettable and so much more impressive than a regular party-and for just about the same price! So, thanks to Madame Deals, I’m going to be sharing my secrets to success with you-and I can’t wait to see what you wonderful readers come up with, as I will definitely be featuring some of your party planning skills at work right here!